This modern age witnesses the improvements of technology which greatly increases the usage of computer in house, office, and originations. It is nearly impossible to go work or carry out study without computer or laptop. With this change, data storage devices become the part that attract most attention from users. Computer users usually stores data on hard drives, external hard drives, USB flash drive, memory card, virtual disk, etc. Ironically, hard drives and other USB drives are designed to store files for a longer time since brain can’t remember every single file forever. And yet, data loss happens to all storage media including hard drive. Thus hard drive recovery is one of those computer skilled should be learned by all users. 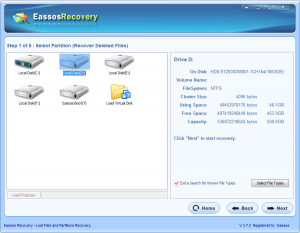 Why hard drive recovery is available? When a file is deleted from hard drive, it does not disappear from hard drive. In fact, the deleted is just visible to system and users. What is deleted when deletion is performed? The answer is index which is responsible for telling system all details about file data, such as location, name, size, type, etc. Thus deleted files can be recovered if hard drive recovery software can find the index and analyze file information accurately. The most important role of data recovery you should follow is avoiding data overwriting. So you should stop using the computer before all loss files are recovered successfully. If you continue using the computer after files get loss, the chances of getting them back will decrease, as operating system will carry out destroy actions and overwrite lost files. Also, users shouldn’t ignore the severity human actions. 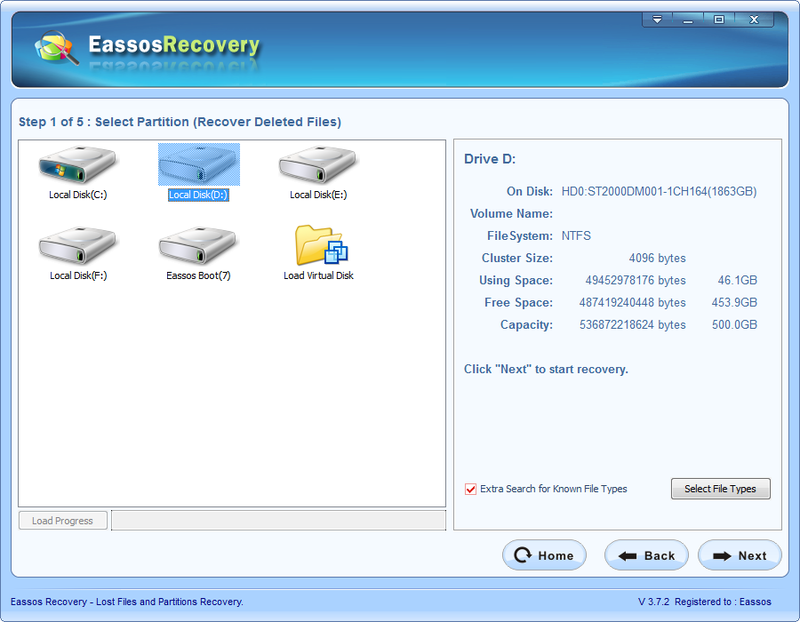 Many users tend to download recovery software onto the hard drive which is suffering from data loss. But this action also causes data overwrite and makes data unrecoverable. Thus new files should be stored to another partition which is independent of the failing hard drive or partition. The most convenient and cost-effective solution of hard drive recovery is using data recovery software and perform recovery with on your own. 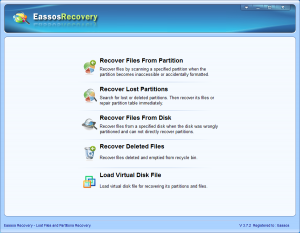 Eassos Recovery is able to fix various data loss problem and recover lost files and folders from hard drive, portable drives, flash drive, SSD, virtual disk, and so on. 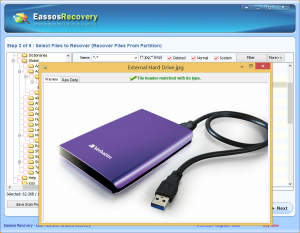 This program makes the whole recovery process so easy that even beginner can become a data recovery expert just in minutes. 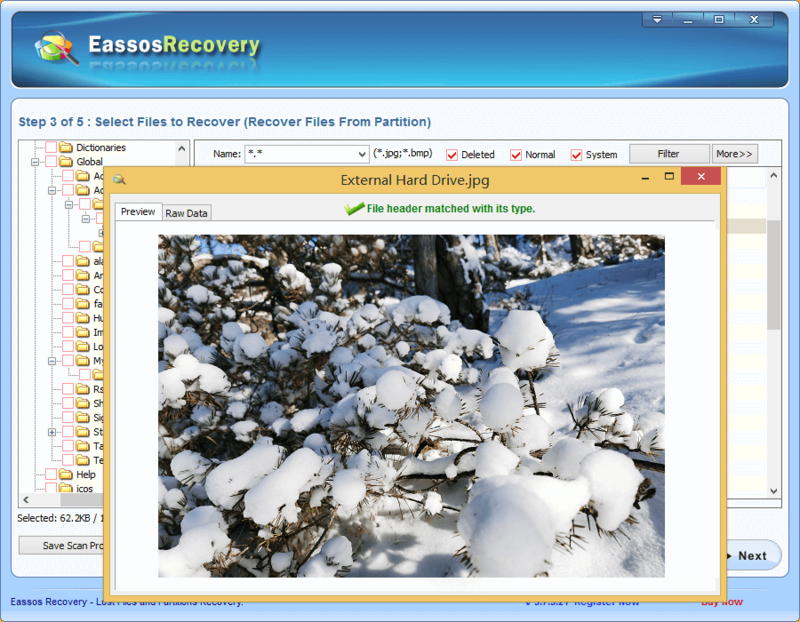 This entry was posted in Data Recovery and tagged hard drive recovery, hard drive recovery freeware, hard drive recovery software by EASSOS. Bookmark the permalink.